Present state: The main station building still stands although the platforms have been demolished. Notes: Bovey Tracey was the halfway point on the line. The station consisted of two platforms, the main building was located on the 'up' (East) side. There was a waiting shelter on the opposite side of the track that was constructed soon after the platform was lengthened and gauge conversion had taken place. The new alignment of the A382 runs along the course of the railway and through the station site. 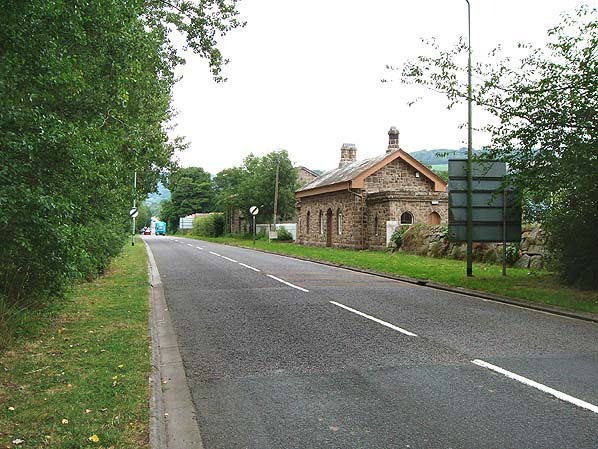 The main station building however still stands on the side of the road. It has now been refurbished and now houses the Bovey Tracey Heritage Centre which opened on 10th April 2004. Just north of the station there is a very popular local walk that follows the old track bed towards Lustleigh. 1872. The Moreton & South Devon Railway Company Act was passed in 1862 for a broad gauge line from Newton Abbot to Moretonhampstead. Local people were slow to subscribe and bad weather delayed construction with the line finally opening on 4th July 1866. 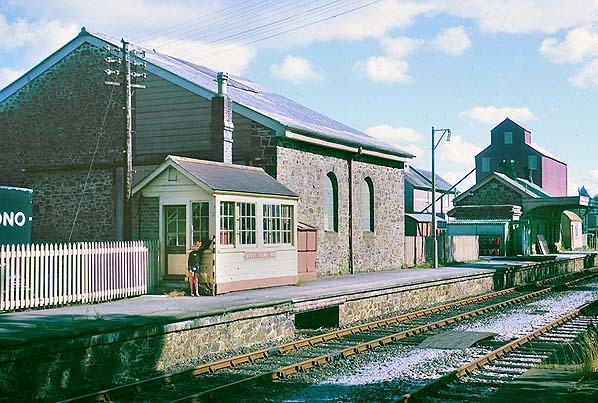 From the outset, the service was provided by the South Devon Railway who absorbed the local company in 1872. The bridges on the line were constructed for double track but never used as such. Goods traffic began on the line on 8th October, three months after the line opened to passengers. Initially the service was poor and traffic was sparse until the end of the century by which time the line was well used. 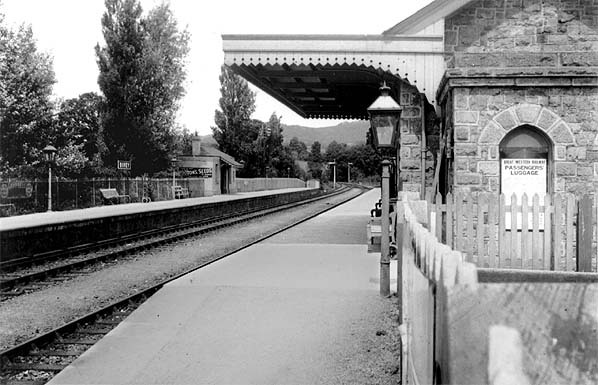 The South Devon Railway was absorbed by the GWR in 1878 and the line was converted from broad gauge to standard gauge between 20th and 23rd May 1892. In 1986 construction of the Bovey bypass started following the route of the track from just North of Bovey station down through Brimley and on towards pottery bridge. 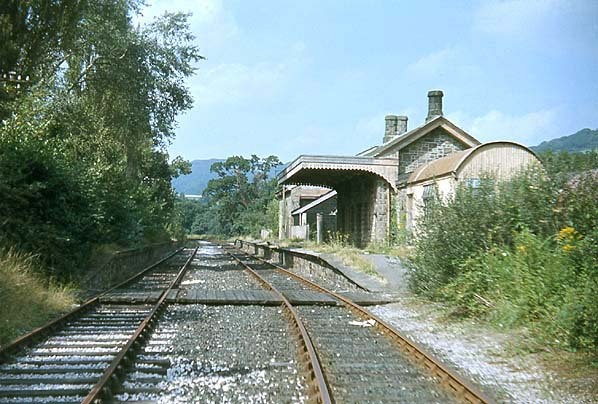 Bovey Station looking north in August 2005, taken from a similar viewpoint to the picture above.